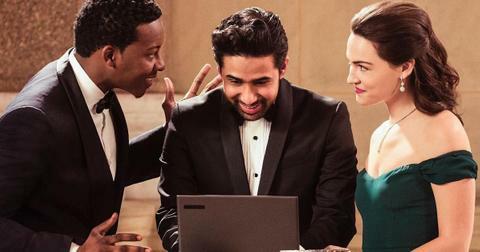 If you are nothing watching God Friended Me, you are seriously missing out. The first season of the CBS series just wrapped, and it left fans buzzing thanks to that serious cliffhanger. It goes without saying but, warning: major spoilers ahead. 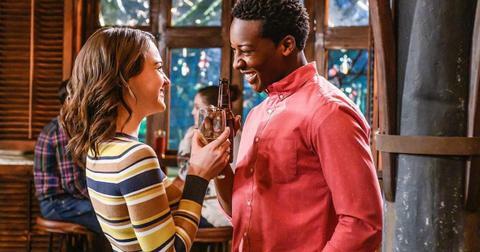 In the finale episode titled, “Que Sera Sera,” viewers watched as Cara Bloom, played by Violett Beane, took an offer from with Simon, Henry, and Pria to spend six months in Paris writing a book about Simon’s technology based on Henry’s predictive analytics code. What makes it worse is that Cara stops Miles (Brandon Michael Hall) from professing his love for her before her departure, because she knew she wouldn’t be able to go to Paris if he did. While this trip is only temporary, some fans are convinced Cara is actually leaving the show. So, is Cara leaving God Friended Me? Luckily, Viollett spoke out about her character’s decision to leave — and revealed it is in fact only temporary. Steven Lilien and Bryan Wynbrandt have also confirmed that Cara’s Paris storyline will play out in the second season. 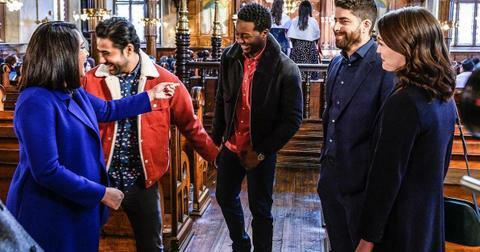 When is Season 2 of ‘God Friended Me’? Luckily, the CBS comedy was renewed back in January. “We’re thrilled with how God Friended Me has performed on Sundays. It’s one of the top three new series on television, has improved its time period significantly and continues a long tradition of prestige dramas for CBS on the night,” the network said in a statement. As for a release date, CBS has not announced an exact date yet, but fans can expect to watch Miles, Cara, and the rest of the God Squad return in the Fall of 2019. Hopefully, we can finally find out who is behind the God Account since we now know it’s not Henry Chase.